For sale we have front lip GV style Side skirts with one fits to Mx5 mk2 FL. Parts are new,and a perfect fit with finished black ( pls check pics ). Parts made of high quality fiberglass. Last pics show how flexible are our parts. Zum Verkauf stehen 4 Stück Luftauslassapplikationen Neu inkl. Anbaumaterial und Anbauanleitung. Der Preis bezieht sich auf ein Set bestehend aus allen abgebildeten Teilen. Material: Aluminium massiv (kein billiges Plastik), poliert. Model: Mazda RX7 FD3S / Honda S2000. This item is the RX7 Item but Can also be fitted to the Honda S2000. Item: Feed Style Side Skirts (Pair). Place at the bottom of Original Side Skirt. Made with Fibre Glass. 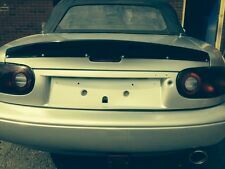 MX5,Eunos MK1 Miata style boot spoiler made from tough durable reinforced plastic. Mx5 Mk1 Miata style duck tail boot spoiler made from tough durable reinforced plastic. The spoiler can be either bonded or bolted. 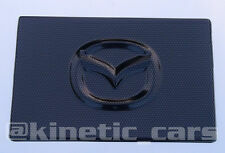 The cover has the Mazda logo embosed on it and is suitable for your Mazda. (For sale we have front lip GV style with one fits to Mx5 MK1 ( pics 1-7). Parts are new,and a perfect fit with finished white but can send black one :). we will send straight from our factory outiside UK. Kein Kleber notwendig, kein zurechtschneiden oder bohren, einfach plug & play! Edelstahl Chrom Zubehör. Kappen werden über die originalen Türgriffe montiert. Hochwertige Türgriffblenden (Kappen) im Set. Rückseitig angebrachte Klebestreifen; in wenigen Minuten angebracht. Absolut rostfrei. Material:Edelstahl 304er V2A auf Hochglanz poliert. Satin Silver Seat Back Bar Covers, MX5 Mk4. Fits all Mk4 MX5 Models, 2015>. High quality and great looking pair of seat back bar covers by IL Motorsport in Germany. - Simple to fit, they just stick over the existing trims -. Car Model: for mazda cx-5 cx5 2017 2018. Item Type: Chromium Styling. Applicable models: for mazda cx-5 2018. Material: Stainless Steel. Special Features: Decoration and protection. RAJOUT MOUSTACHE PARECHOC STYLE SPORT MAZDA MIATA MX-5 NC 03/2005-03/2009. • MAZDA MX-5 MIATA TYPE NC de 03/2005 à 03/2009. Tuning Racing Compétition. Visserie non fournie. Support technique. Le kit comprend . We source our products from all over the world to bring you the best in MX-5 parts and accessories. Genuine Mazda sport rear diffuser for the Mk3.5 facelift model. Fits all Mk3.5 & 3.75 Facelift models, 2008>2015. MAZDA 3(BM). They are made of black high quality ABS PLASTIC, direct from the manufacturer. Fit and lay perfectly. We look forward to see you soon. It makes a perfect gift or personal treat. and you need to paint it into different colour base on your car. These side bars will improve accessibility for young & elderly people. 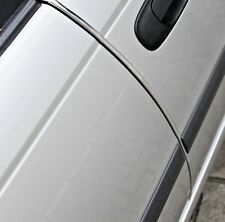 Side bars will also protect the sides of your car and add to him new fresh look. Supplied as a set of 2 (left side and right side) with fixing brackets and bolts for a safe, quality installation. Mounting manual Rear Side Splitters are in black, they are ready for mounting. Rear Side Splitters look great with the rest of the styling kit or on their own. ABS is used in production of factory bumpers and other car body parts. Dies ist auch kein Höheraufwand für den Lackierbetrieb. Die Fahrzeugverwendungsliste dient ausschließlich zu groben Vergleichszwecken und ist zur genauen Zubehör- Ersatzteilbestimmung oft nicht ausreichend. Model: Mazda RX8. Item: CS-Style Rear Bumper. and our experience staff will do our best to help. Wind deflectors. Channel Islands ,Ireland ,Northern Ireland,Isle of Wight ,Isle of Man,Highlands & Rest of World. Fits Mk1, Mk2 AND Mk2.5 from 1990 till 2005. It is not designed as a safety device. 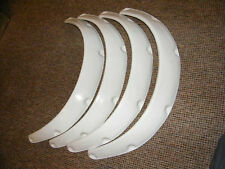 We have for sale universal wide arches, that you can use for a Nissan BMW Mazda Toyota Lexus Honda. Set includes: 4 pieces universal wide arches. Arches made of high quality fiberglass. we will send straight from our factory outiside UK. 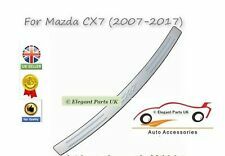 FRONT SPLITTER (GLOSS BLACK) - MAZDA MX5 3 NC PREFACE (2005-2009). 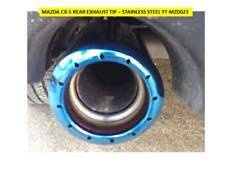 Fits only: MAZDA MX5 3 NC PREFACE (2005-2009). Splitter is in black, it's ready for mounting. Splitter lowers the car visually and improves the grip and vehicle stability. 1x Kode Rear Tow Hook In Grey Colour. Made out of High Quality Aluminium. Model: Mazda RX8. Item: CS-Style Front Bumper. and our experience staff will do our best to help. CNC gefertigt aus starker Dural-Legierung 2017 (stärker als 6061) und in wunderschönem Rot oder Gold erhältlich. Item: EPR RB Wide Aero Body Kit. Model: Mazda RX8. Rear Duck Tail Spoiler. Kit Consist of Rear Under Diffuser (Includes Brackets and Damper Set). Rear GT Spoiler Support Damper Set. Rear Fenders (4 Pieces). They are made of black high quality ABS PLASTIC, direct from the manufacturer. 200 3 - 2009. Fit and lay perfectly. We look forward to see you soon. It makes a perfect gift or personal treat. and you need to paint it into different colour base on your car. Para adaptarse a 2017 Mazda CX-5 Capucha protectora de acrílico transparente ahumada Bonnet Guard Shield. Hecho de la más alta calidad de acrílico transparente alto impacto. Hecho con acrílico de alta resistencia al impacto, este protector del capó protege su vehículo de los daños de pintura causados ​​por escombros mientras conduce. Mazda Demio Vorfacelift Bj. ab 98-00 Stoßstange hinten Trittschutzleiste/Ladeschutzkante. Beim Abschließen des Kaufes erklären Sie sich damit einverstanden, auf spätere Ansprüche in dieser Hinsicht zu verzichten. For sale we have front lip GV style with one fits to Mx5 MK1 ( pics 1-6). 1x GV Style Front Lip. side skirts extension, Finish BLACK ! 1 left and 1x right. Parts are new,and a perfect fit with finished white but for special order we can make black one. 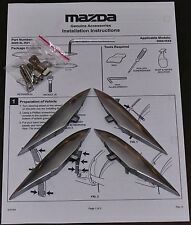 Genuine Mazda CX-3 Front Under Trim - DD2F-V3-890A. FRONT SPLITTER (GLOSS BLACK) - MAZDA MX-5 MK4 (ND) (2014-up). Fits only: MAZDA MX-5 MK4 (ND) (2014-up). Splitter is in black, it's ready for mounting. Splitter lowers the car visually and improves the grip and vehicle stability. Bumper Corner Reflector Set, White, MX5 Mk4. Fits all Mk4 models, 2015>. To re-fit, simply pop in the new one (take caution as all four reflectors are different), and secure with the new screws supplied in the kit. Gives your engine bay a clean style. – 3K Carbon Fibre 1×1 twill (Made in Japan). – 240g 450g Carbon Fibre/Carbon Kevlar manufactured using vacuum BAG. – Anti-UV gloss clear coating for a long lasting shine and protection. – high quality fiberglass (Made in Japan). MX-5 Motorhaubenlifte- Satz schwarze Ausführung I.L.Motorsport Mazda MX-5 TYP NA, NB, NB/FL 1989 - 2005. Sie werden rechts und links am Scharnier und einer Kotflügelbefestigung angeschraubt. MX-5 Schaltmanschetten Satz Mazda MX-5 NA NB NB/FL 89-05 orig. These side skirts are perfect to go with our overfenders kit (style 2). They finish the sills pretty nicely and make the car looks lower and more aggressive. We are specialized in composite parts! These seat covers fit on top of the fabric of the Miata NA (89-95 waterfall design) seats. They will give a beautiful look to your interior and are very easy to install by yourself. – High quality faux leather. Die Radlaufleisten gehen von Stoßstange bis zum Schweller und sind ca.30 bis 45 mm breit. Sie kaufen einen Satz ( 2 Stück hinten ) Radlauf ZierleistenSchwarz Matt. Sehr schöne Verarbeitung über800 Modellvarianten. Die Radlaufleisten gehen von Stoßstange bis zum Schweller und sind ca.30 bis 45mm breit. Radlauf Zierleisten für. Sehr schöne Verarbeitung über800 Modellvarianten. (kein Kunststoff). Sie kaufen einen Satz (4 Stück) Chrom oder Schwarz oxydiert. Mazda Rx8 Chrome Manija De Puerta cubre. HDMA504 MAZDA CX-5 2017-up HOOD DEFLECTOR BONNET GUARD PROTECTOR. BONNET GUARD BUG SHIELD Hood Deflector. PREMIUM hood deflector designed for Bug deflector extends and contours the full length of the hood. Die Radlaufleisten gehen von Stoßstange bis zum Schweller und sind ca. 45 mm breit. Radlaufzierblenden werden individuell für jedes Fahrzeug. Radlauf Zierleisten für. Sehr schöne Verarbeitung über800 Modellvarianten. Mit den neuen beleuchteten Edelstahl Einstiegleisten für den besonderen Anspruch. Elektro Anschluss: über die Innenbeleuchtung. Individualität und hochwertige Materialien machen die besondere Optik dieser Leisten aus.